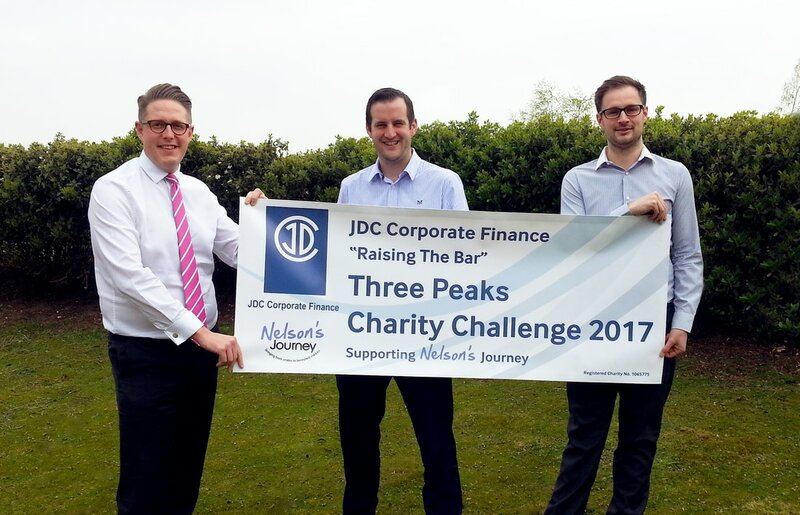 Nine members of the JDC Corporate Finance team have set themselves the challenge of completing the Only the Brave Obstacle Mud Run on 25 March 2018 at Elveden Estate. The challenge will consist of a six mile mud run with up to 35 obstacles and will require a combined effort of running, crawling, climbing, scrambling, struggling and panting to cross the finish line. In addition to supporting EAAA, we have chosen to raise funds for the Community Heartbeat Trust (CHT), the UK’s leading Community Defibrillator Charity, specifically to help with a local community defibrillator project. With your support we are aiming to purchase a community Automated External Defibrillator (AED) for the users of the Meridian Business Park and associated areas. An AED has been described as the single most important development in the treatment of Sudden Cardiac Arrest (SCA). These devices are now widely available and increasingly used by people, often with little or no training, to re-start the heart of a victim of an SCA and under ideal circumstances, when used very soon after collapse (within two or three minutes), many can survive. By providing this equipment for the local community we hope to help save lives. We really appreciate your support and thank you for any donation! We are delighted to confirm the completion of another landmark transaction led by the team at JDC. We are proud to have been the lead advisers to Aquaterra Energy Limited in securing a substantial investment from EV Private Equity. The deal has provided access for our client to £30 million of investment capital to expand its services both organically and through acquisitions. It also enabled the founding shareholders to ‘de-risk’ their position through a meaningful ‘cash-out’ element to the transaction structure. Whilst we are often engaged by our clients for the first time to lead a transaction for them, we are just as often engaged in an advisory capacity to assist our clients in growing their businesses prior to an ultimate transaction. Our longstanding relationship with Aquaterra spans a period of 10 years and we are particularly pleased to have assisted the shareholders to achieve their personal and business objectives at this stage of their journey. We are equally pleased that we will be continuing to work with them and with the Company in the future. To find out more, please see our attached deal sheet and read the EDP's coverage of the deal by visiting the link below. 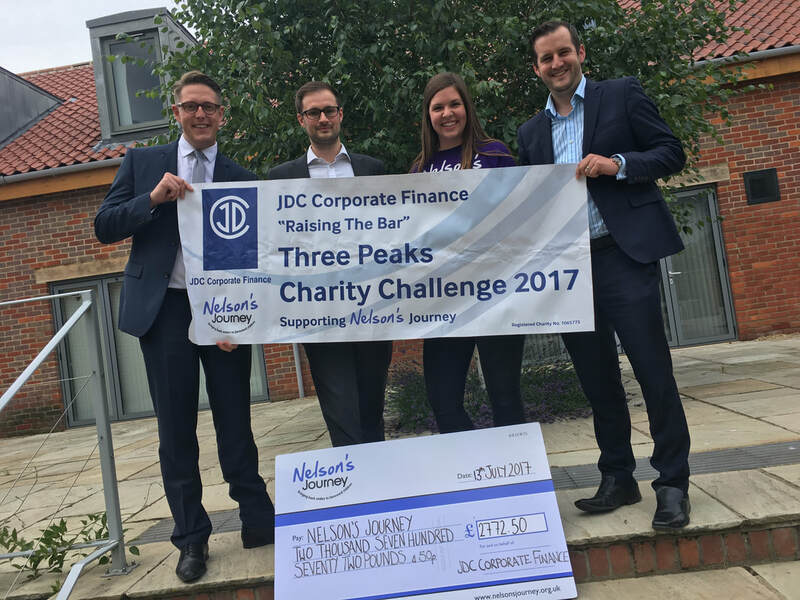 ​Dave, Ryan and James of JDC Corporate finance, a Norwich based specialist corporate finance firm, chose to take on the gruelling National Three Peaks challenge to raise funds for Nelson’s Journey. JDC chose to support Nelson’s Journey as it is a local charity which does fantastic work to support and help children and young people who have experienced the death of an important person in their lives. Dave, Ryan and James started their challenge by taking on Ben Nevis; setting off at 5:30am with the weather conditions far from ideal with the rain making the terrain extra slippery alongside increasing winds the further up the mountain they got. It took approximately seven hours to get to the summit and then return to the foot of the mountain, sapping their energy. Following a change of clothes they then made their way to Scafell Pike to take on the next mountain but, with traffic not being favourable it delayed their arrival and meant they reached the top of Scafell Pike at sunset, which gave some fantastic views, however it meant the descent occurred in the dark and tested the navigation skills of the team. Once safely returned to the bottom of Scafell Pike at 1am, they then made the final road leg of the challenge to Snowdon. After getting a few hours’ sleep on route, they arrived in Snowdonia to be greeted with sunshine which made the final climb more enjoyable (even with very tired bodies!) and they completed the final mountain at 12:30pm. Please find attached the next in our series of tax related brochures - implementing a minority shareholder exit. Please find attached the next in our series of tax related brochures - creating a capital return through management succession. Please find attached the next in our series of tax related brochures - incentivising key employees through share ownership. Please find attached a copy of the first in our series of tax related brochures providing an overview of the services that the team at JDC can provide.